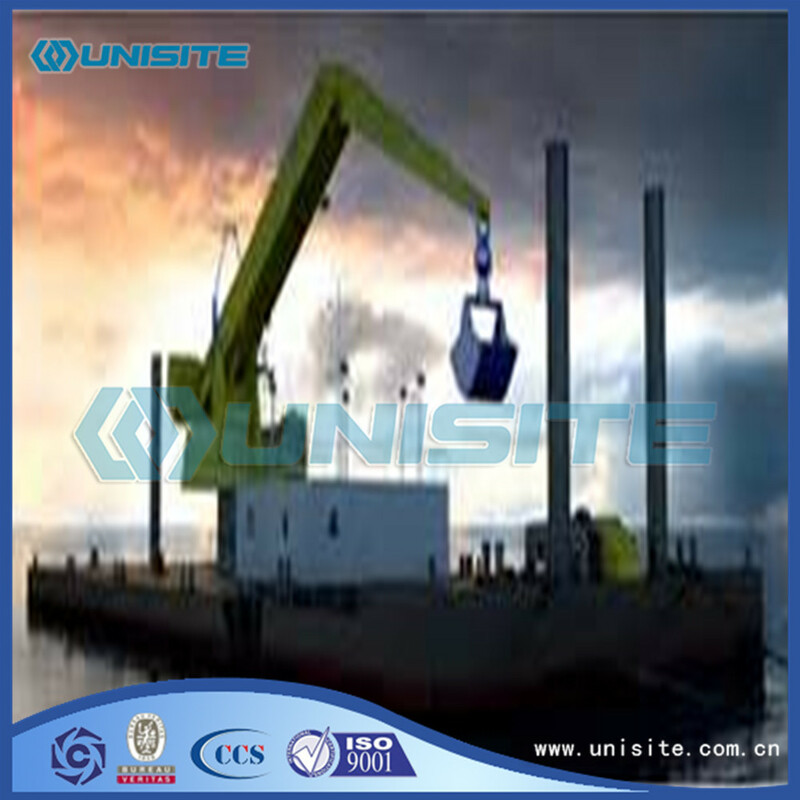 A Bucket Dredger is equipped with a bucket dredge, which is a device that picks up sediment by mechanical means, often with many circulating buckets attached to a wheel or chain. Some bucket dredgers and Grab dredgers are powerful enough to rip out coral to make a shipping channel through coral reefs. Bucket dredgers are only used in new or maintenance dredging projects when the initial depth of the area to be dredged is too shallow for trailing suction hopper dredgers and the distances involved are too long for hydraulic transport. 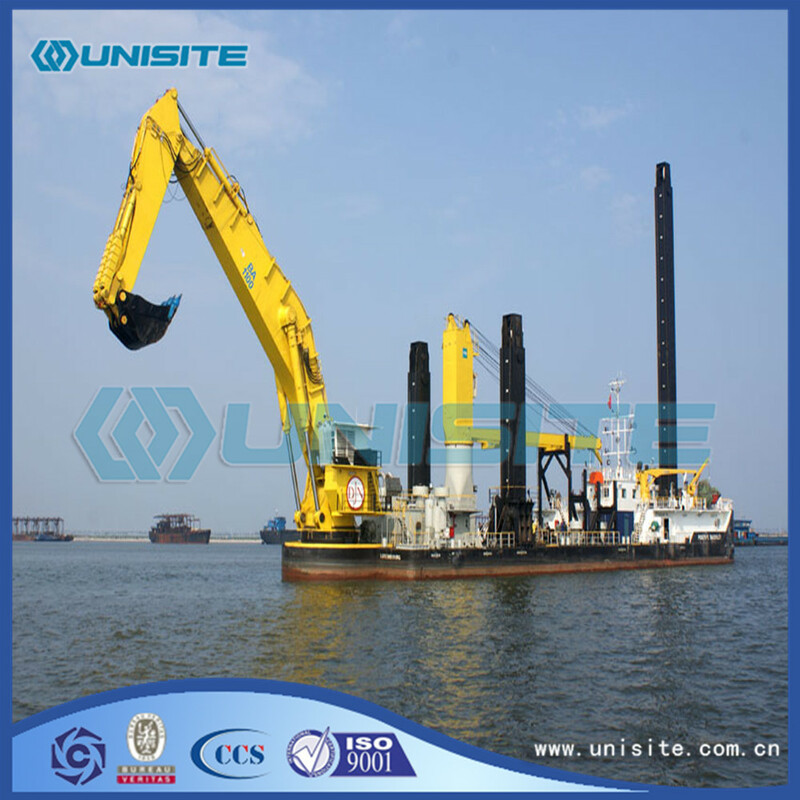 For environmental projects, which require the dredging of `in situ densities`, the bucket Dredger is suitable peace of equipment. When dredging for construction materials such as sand and gravel, or for minerals such as gold and tin ores, bucket dredgers are still frequently used. 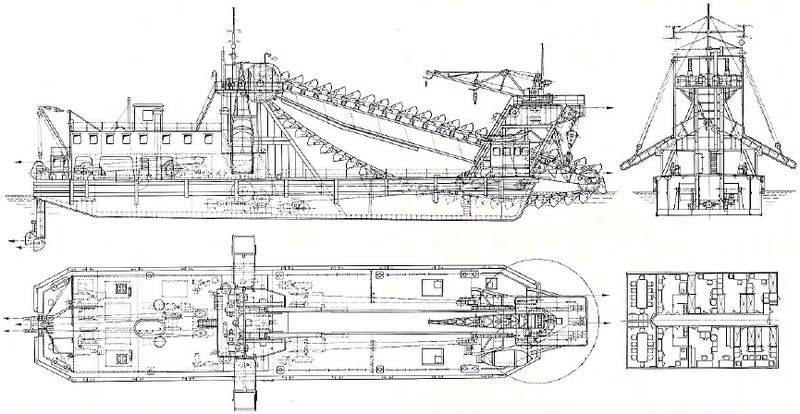 The maximum dredging depth is highly dependent on the size of the dredger. There are dredgers with a maximum dredging depth of more than 30 metres. Such large dredgers the minimum dredging depth is often 8 metres. 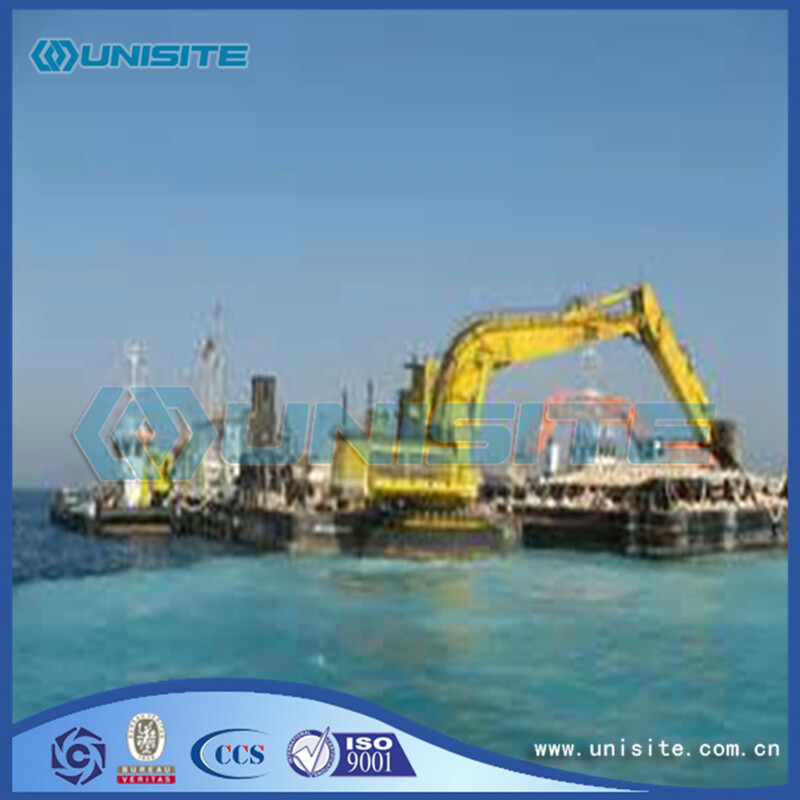 Dredging in shallow water is certainly not the strongest point of the bucket dredger. Bucket dredgers can be used in almost every type of soil, from mud to soft rock. When rock has been fragmented by blasting, bucket dredgers are often used, because of their relative lack of sensitivity to variations in the size of the stones. Bucket dredgers cannot be used in areas with waves and swell. Furthermore, because of the amount of noise they produce, in urban areas they are often subject to restrictions in relation to the working time or the permitted number of decibels measured at a specific distance from them. 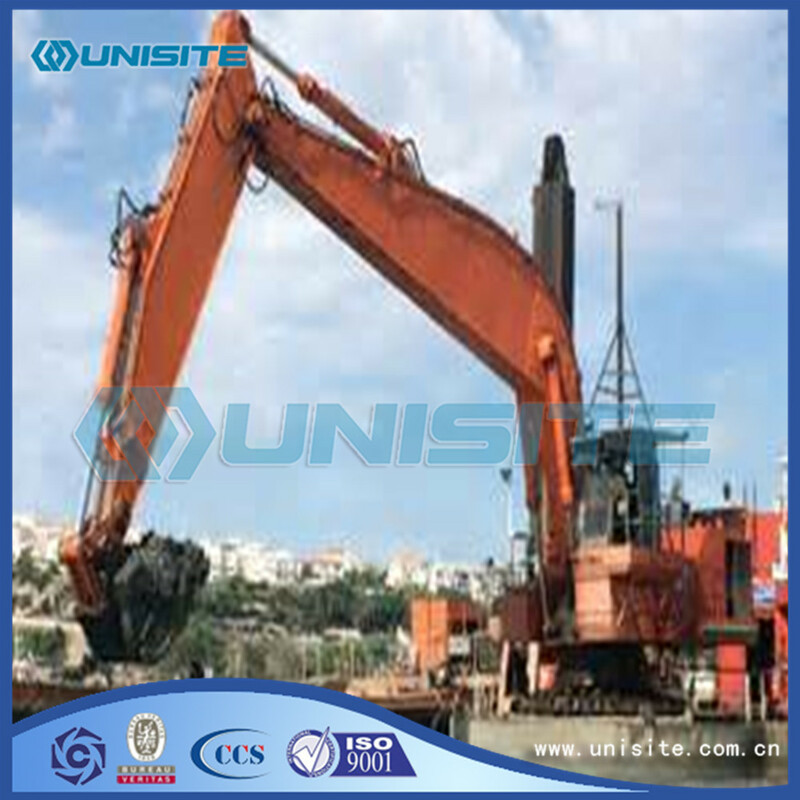 The capacity of a bucket dredger is expressed in terms of the content of the buckets. The capacity of a bucket can vary between 50 and 1200 litres. Rock bucket dredgers often have a double set of buckets, the small rock buckets and the large mud buckets. This is in order to make better use of the power of the dredger and to widen the range of its use. When a bucket dredger is working the anchoring system plays an important role in both positioning the dredger in the cut and in the excavation by the buckets. As mentioned previously, the dredger swings round the bow anchors. The bow wire has a length of 1 to 2 times the bucket capacity in litres. This means that for large dredgers it may be 1 to 2 km long. It will be clear that with such great lengths, measures must be taken to prevent the radius of the swing circle from being reduced by the bow wire being dragged over the bottom. Over water, therefore, one or more pontoons/floats/bow barges are positioned under the bow wire. If the bow wire runs mainly over land it is placed on a drum roller. Looking for ideal Marine Bucket Dredger Manufacturer & supplier ? We have a wide selection at great prices to help you get creative. All the Bucket Chain Dredger are quality guaranteed. We are China Origin Factory of Bucket Ladder Dredge. If you have any question, please feel free to contact us.